I am one happy camper. So are Pam and Jerry. Their bedroom floor is finally done. Here are a couple of photos of the finished floor. Once I got into a routine on laying out the boards, the work went pretty well. The photo above on the right is not as clear to show the two floor vents. That took extra time cutting the boards around that. And as the next set of pictures show, the last row was a challenge. I am happy with the job and even happier that it is now over. 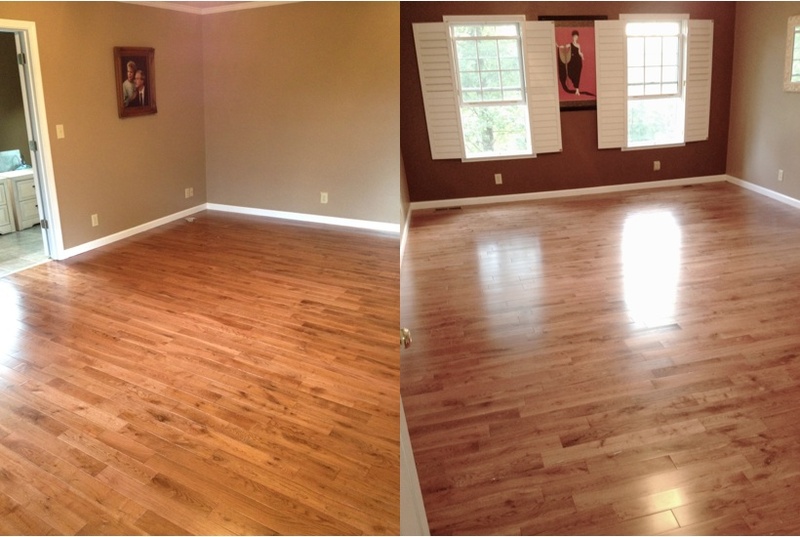 The project called for 16 boxes of NobleHouse Solid Oak Gunstock Hardwood Flooring from Lowes. Project only took 14 boxes. Very little waste. 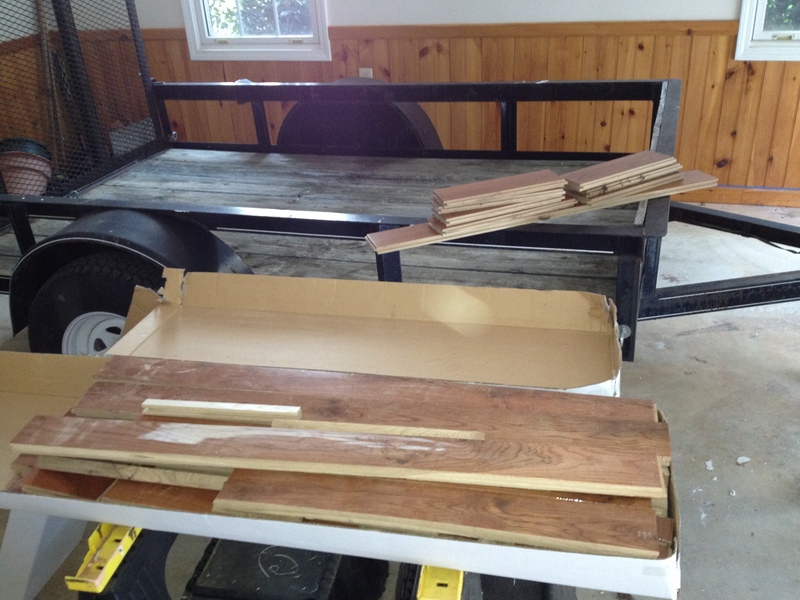 The pieces on the trailer is what was left. The stuff in the box was the cut offs and trash. Now I get to tackle mowing again. We have had sufficient rain to cause the grass to grow. Thankfully, the temperatures in Blue Ridge are comfortable. Friday we head to Ellijay for a little shopping and Saturday we head to Chattanooga for pet shots at PetSmart. Plus Carol’s sewing machine is back from the sewing machine hospital. And I got my hearing aid back today. I sure love the folks at Advanced Hearing Solutions in Corpus Christi, TX. They sure knowhow to treat the customers. 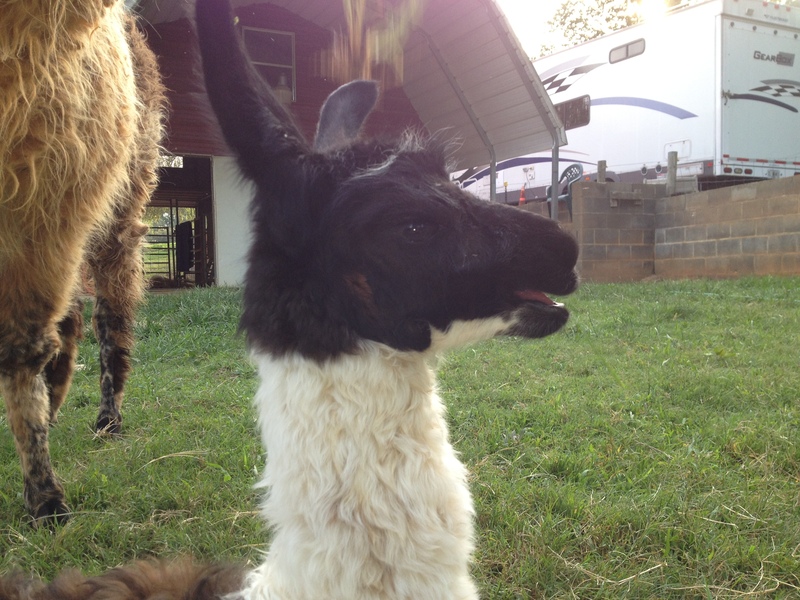 OK one more baby llama photo. She is sure a cutie. Well, that’s it for tonight. Carol backed me some cookies and they are calling my name. Thanks for stopping by – y’all come back now. This entry was posted in Georgia, Texas and tagged DIY. Bookmark the permalink. Great job Jerry!! I miss you guys! I’d rather mow than lay floor. But come to think of it – once the floor is laid IT”S DONE! Can’t say the same for the grass. Beautiful floor. Personally, I LOVE to mow. It’s very satisfying to me although it doesn’t “stay” mowed. So, what name did the new baby acquire?